In a Nutshell: FDIC’s records retention laws and other federally issued mandates require financial service providers to retain thousands of everyday business documents each year. The documents, if kept in their original paper form, can take up a lot of real estate in an office or branch building. To meet modern document storage needs, Foxit has partnered with hardware giant Panasonic to offer its industry leading PDF compression and archive solutions in scanners available worldwide. The PDF Compressor software, which can be purchased as a standalone product, is capable of converting documents into a common digital format that takes up less hard drive space than traditional files. All documents can be placed in a single searchable archive that can find a word or phrase within seconds. Most entrepreneurs start a company with the dream of placing their brand’s name on the tips of consumers’ tongues worldwide. Others forego the name recognition and opt to place their products on the tips of consumers’ fingers instead. Billions of consumers use Foxit’s PDF rendering and compression software every year. If you’ve ever viewed a PDF document through Google’s Gmail or Chrome browser or read a book on any of Amazon’s popular Kindle devices, you’ve used Foxit’s software. Amazon recognized the company’s potential and invested in it in 2011. Despite numerous accolades and awards, the company doesn’t have the household name recognition of competitors like Adobe. 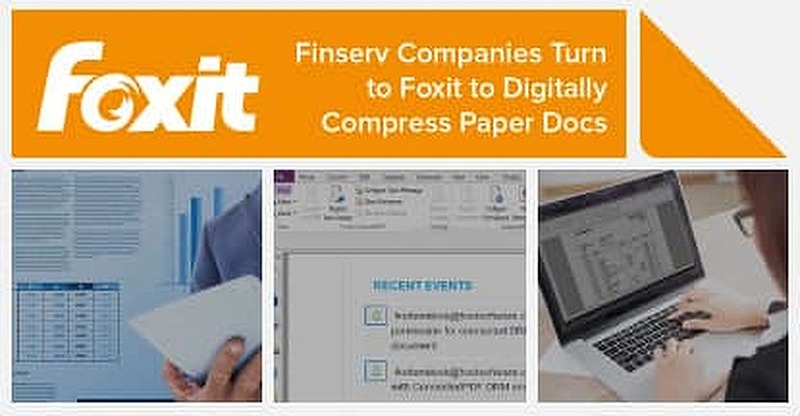 Foxit’s innovation in PDF compression and archiving tools started in 2001, when the company was founded as an alternative to Adobe’s groundbreaking PDF software. Today, the company’s focus is on pushing the limits of PDF capabilities beyond where its competition can go. In January 2018, Foxit announced a partnership with Panasonic to provide its enterprise-grade compression and archiving solutions to Panasonic scanners in the form of PremierCOMPRESSION. The PDF Compressor program is also available as a standalone product on Foxit’s online storefront. Ronald told the story of a German Savings & Loan company that uses PDF Compressor to digitally organize the government-mandated 10-year retention of all loan records. Thousands of documents that once filled an entire office in the institution’s building were reduced to a single, searchable digital archive with a common formatting and naming system. “The lender told us that if you took all of the paperwork they had and stacked it one on top of the other, it would be more than a kilometer (0.62 miles) high,” Ronald said. Foxit’s software has many uses to financial service providers and allows businesses to maintain a clean record of transactions without requiring large amounts of real estate for storage. Foxit’s products are designed to help insured institutions comply with strict FDIC record retention laws. The ability to search scanned documents adds to the ease of use and functionality of Foxit’s PDF compression and archive solutions. Many Finserv companies retain thousands of new documents each year. While some are never recalled, the process of finding a required document can be like finding a needle in a haystack. Foxit’s products include Optical Character Recognition (OCR) that makes it easy to search any number of documents for specific words or phrases in a matter of seconds. Ronald compared the tool to using the “Find” feature in a Microsoft Word document. The process has saved time and headaches for many Foxit solution users. Although Foxit’s Enterprise Automation solutions earn the company acclaim, Ronald says its products are not only for large-scale businesses. 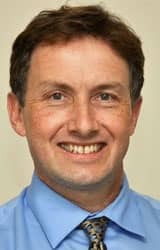 David Ronald is Foxit’s Director of Marketing. The company’s latest partnership with Panasonic will place its software in millions of scanners worldwide, expanding the brand to enterprises that may have overlooked the company before. Heading into the next stage of Foxit’s evolution, the company plans to expand the reach of its solutions by offering products on-demand to consumers worldwide. Along with its tools, Foxit’s popular line of Software Development Kits (SDK) that provide solutions for developers may also make their way into the cloud in the near future. With the expansion of Foxit’s products and tools, as well as future plans to increase accessibility to consumers and businesses around the globe, there may not be much of an excuse in the coming years for not knowing the company’s name.